Salad, just taken from the garden, is much tastier and healthier, which had lain for a couple of days. But many of us are forced to buy vegetables in shops, and even have to do this for the future. Therefore, you should try to make every effort to make a salad as long as possible retained their freshness and useful qualities. Bringing the salad home, immediately take steps to extend his life. Cut off the base of the stem 2-3 mm to open the pore through which the salad will be able to penetrate the water. Take a large, flat bowl, pour some water in it, put the lettuce stalk down, and can leave it to stand at room temperature. The action principle turns out to be the same as standing in a vase of flowers. Under good circumstances set in the water lettuce can remain fresh up to 5-7 days. But the salad is not only absorbs water, it gives out through its leaves. To avoid loss of moisture and wilting of lettuce, cover it with plastic wrap. Just do not need anything to seal the need in this no-no, otherwise the salad will suffocate and go bad. To store the salad is in the fridge. Wrap it with paper kitchen towels moistened with water and put it on the shelf or in the crisper. 3-4 days product will stay fresh. If the refrigerator space is not much, you can make out a head for lettuce leaves, tear or cut them into pieces of the required size, folded in a plastic container lined with moistened paper towel and cover with a lid. However, long store lettuce this way is not recommended. 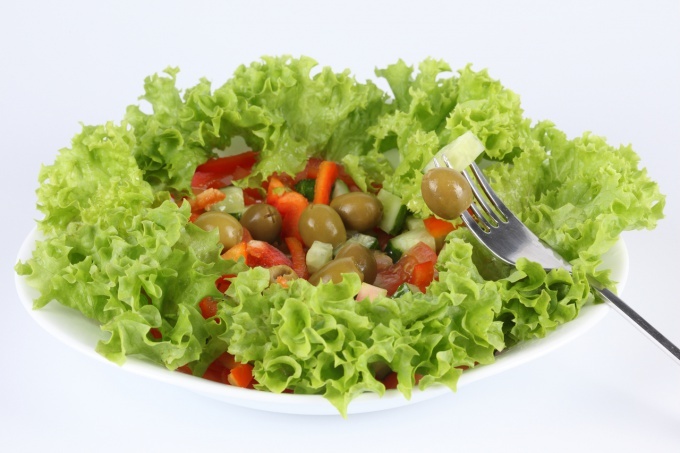 The next day he will begin to lose freshness, but this method is perfect if you want to save the salad for several hours while going for a picnic or for lunch at the office. 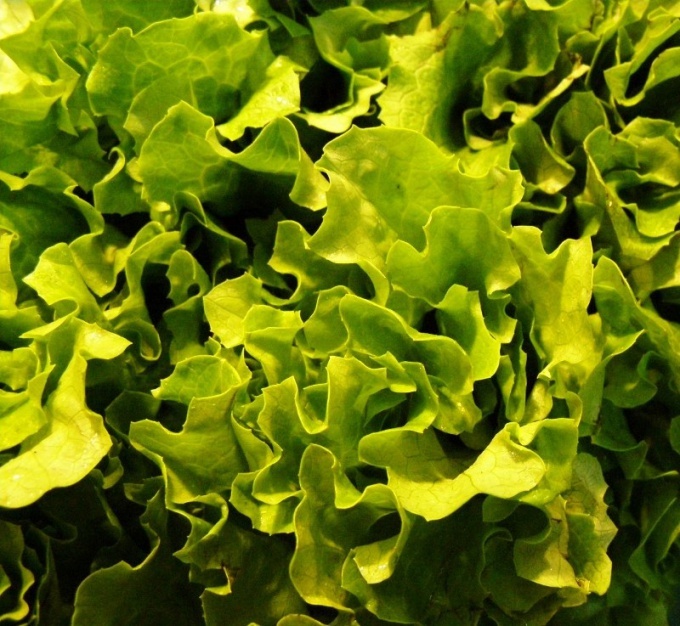 Leaf lettuce compared to the other greens have a short shelf life. Its leaves are softer, easier to lose moisture and undergo decay. The ideal preservation is to provide the conditions close to natural environment, i.e. full root nutrition, adequate humidity, moderate or lower temperature. First, trim the roots, sort through the greens, removing the damaged part. Rinse lettuce thoroughly under running water, separating the leaves. Better to wash with cold water, up to -18 ºc. Dry the salad, put the leaves on a towel, a colander or sieve. Excess water in storage would contribute to decay even at low temperatures. Place the salad in a container with low sides, and, preferably, a double bottom, the upper of which has holes for water drainage. This is important if you have not had time or opportunity to let it drain on a towel. If the water glass with the leaves, you can put them in a pan. Better vertically, cut down. Cover the container with a salad with a damp, clean towel. Cling film cover is not recommended as it will prevent air circulation, and stimulate the damage. Left open also should not be, because the lettuce will wilt faster, because the air circulation in the refrigerator significant. Place the container (or pot) in the fridge, the desired storage temperature +is + 4oC. Toss lettuce every day, removing perishable leaves. So you can extend the shelf life to 5 days. Remember that herbs refers to the perishable products and the timing of its shelf life (after cleansing and irrigation) ranged from 18 to 24 hours at a storage temperature of +4/-2 C.
Raw lettuce storage temperature 0C, tight stacking in a box or basket. He is very sensitive to humidity: low rates (60-70%) quickly fades, when high (over 90%) molds. So optimal moderate humidity (80-90%). Put in a container with herbs mashed garlic to slow the process of decay of vitamins in leafy vegetables. Can also try "bouquet method". To do this, make a fresh cut on the roots of lettuce and place several bundles in a container of water. The water should reach only until the stems of the leaves. Change the water daily or every two days.